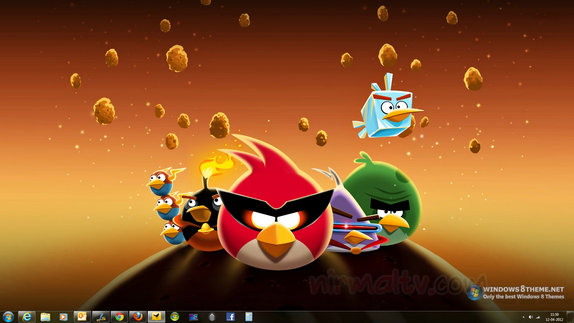 And for you who like Angry Birds, you can decorate your Desktop interface with Angry Birds Space Theme. Windows8Themes.net has release a new theme for Windows 8 and Windows 7. This theme have 10 High Quality (HQ) walpaper of Angry Birds Space with 1920 x 1080 pixel resolutions. Angry Birds Space Themes are available on two version, Windows 8 and Windows 7. Need to know that Windows 8 theme pack are not compatible with Windows 7. You can check out our themes gallery for more Windows Themes. hmmm … nice theme to be tried..